A honey butter recipe can be better made by first learning how to make butter at home. And learning how to make butter is about as simple as it gets. 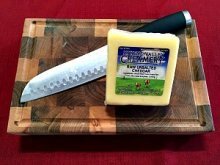 The hardest part will be finding a good source of 100% grass-fed raw cream to make your homemade butter with to make the best tasting honey butter recipe. However, there are over 300 types of honey in the United States to choose from to flavor your honey butter recipes. Think of all the possible taste sensations that you could create with that many types of honey found throughout the USA. And you can also add spices like Ceylon cinnamon to enhance the flavor of homemade honey butter recipes. There are so many types of honey to choose from in the United States alone. 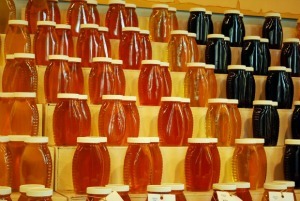 The color of honey ranges from colorless to black. And the taste of honey ranges from a very mild taste to a very strong taste. Clover Honey - a very mild tasting honey which ranges from a white to amber color. This is the most common honey you will find in the United States. Wildflower Honey - a multi-floral honey which ranges from light to dark in color and mild to rich in flavor. Avocado Honey - a honey with a buttery rich flavor and dark in color. This honey is flavored from the avocado blossoms in California. Sage Honey - a mild tasting honey which is light in color and heavy bodied. This honey is slow to granulate which makes it a great honey for blending with others. 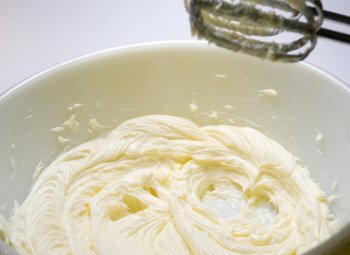 Whisk ingredients together using an old fashioned whisk or beater to make a creamy honey butter recipe. In your honey butter recipes, use the proportion of butter to honey that you feel is best for your taste buds and health needs. Some people prefer a sweeter honey butter and others prefer less sugar in their honey butter recipe. Blend ingredients until you create a smooth and fluffy honey butter recipe. Honey butter keeps in the refrigerator for a couple of weeks. 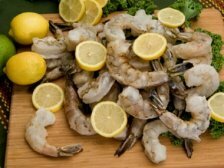 You can also use the zest of a lemon or orange to flavor your honey butter recipes. You could even use a little stevia along with the different types of honey to cut down on the sugar in your honey butter recipe. Add cream to a large mason jar and cap the mason jar. Shake vigorously for a few minutes (take a break if necessary) until the buttermilk separates from the cream and a ball of butter forms. Then pour off the buttermilk into a small glass jar and save for other culinary uses - like buttermilk pancakes. Wash your butter ball by adding ice cold water to the mason jar and capping jar - shake vigorously again for 10 to 20 seconds. Open the jar and pour out the washing liquid that contains the excess buttermilk. You can then put your homemade butter into another container. Store in your refrigerator or leave out to soften for your honey butter recipe. Raw cream comes with healthy bacteria that naturally keeps down the bad bacteria. How to make healthier butter if you can only find pasteurized cream? You could culture the cream with buttermilk and let it sit at room temperature for a few hours before using the cultured cream to make your homemade butter. Put your raw cream into a big glass mixing bowl. Using a hand mixer, whip cream for a few minutes until the buttermilk and yellow butter separate from each other - forming clumps of butter. Then stop mixing and add ice cold water to your butter clumps. Whip butter again for a couple of minutes with the cold water to wash the butter. Repeat process if necessary. Then drain off the buttermilk water using a cheesecloth. Squeeze or let hang dry to completely get rid of any excess liquid. Use your fresh homemade butter when it softens in a honey butter recipe. Or store your homemade butter in a glass jar in the refrigerator. Or store in a butter bell or crock to always have soft butter available. 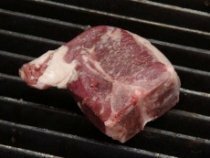 Remember it's always best to use raw 100% grass fed cream. If you can't find raw cream, you can use the cream that floats on top of your raw 100% grass fed milk. And if you can't find raw milk, buy the best quality organic cream at your local grocery store. However, please stay away from ultra-pasteurized cream! If that's all you can find - move (just kidding). I would talk to the person who places the orders at your health food store or local grocery store. Request a brand like Natural by Nature or a comparable brand. This is the way to make larger batches of homemade butter and this is the way my boyfriend makes butter. You can make a few pounds of homemade butter at a time (resting the food processor in between batches). Pour raw cream into a fairly large food processor and turn on. 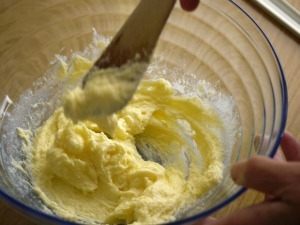 Blend cream past the whipped cream stage - to the stage where the cream separates into buttermilk and butter. Anywhere from 3 to 6 minutes. When that happens, you'll hear the sound on the food processor change to a higher pitch (most likely). Then stop and drain off the buttermilk. Remove the butter ball or clumps of butter from your food processor and put into a large bowl. Add cold water to the bowl and massage the butter - then drain off the liquid. Do this a few times until the water runs clear to finish making your homemade butter. Raw cream rises naturally to the top of raw milk when left out to set - unlike homogenized and pasteurized milk which never separates. 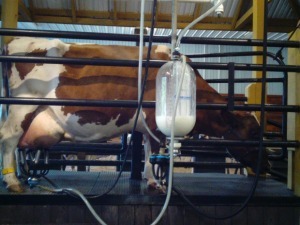 As you can see, you can get cream from skimming off the top of your raw milk. Just gently dip a ladle or small cup into the cream layer - there will be a distinct creamline. Remember, it's very important to completely rinse out the buttermilk from your homemade butter or it will taste funky! 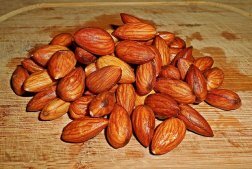 Which won't be good for your honey butter recipes. I have found that no matter what state you live in, you will always be able to find raw milk - even in Hawaii. All you have to do is ask around and usually a nice person from a health food store will know of a source. Sometimes, you will only be able to find raw sheep or goat's milk instead of cow's milk. Unfortunately, goat and sheep milk are naturally homogenized, so making butter from these raw milks will be a little harder.